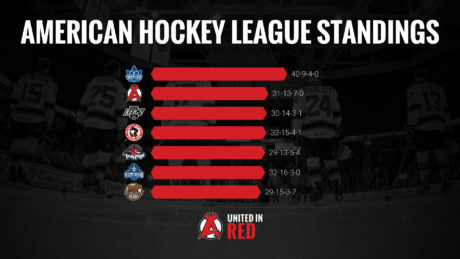 The IceCaps have had the Devils number this year, but Albany has the momentum of a five-game winning streak heading into Wednesday’s game. 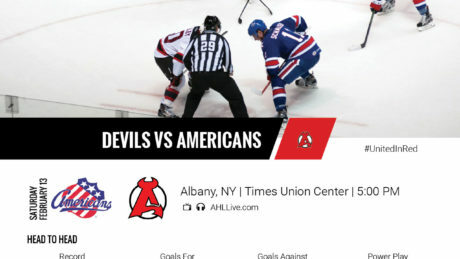 Thanks to a five-game winning streak, the Devils have the second highest points percentage in the AHL. 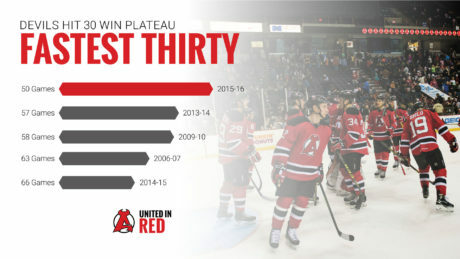 The 2015-16 squad has reached 30 wins faster than any other team in franchise history. 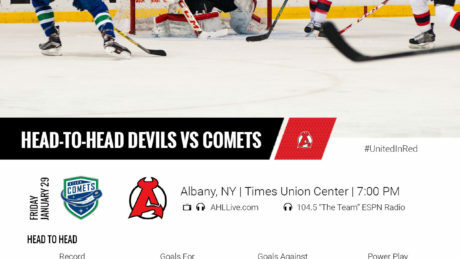 The Devils hit the road for games at Utica Saturday and at Bridgeport Sunday. 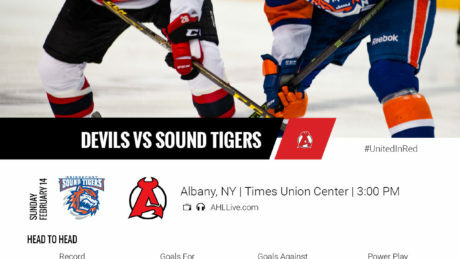 Who has the advantage in the Devils vs. Sound Tigers match up? 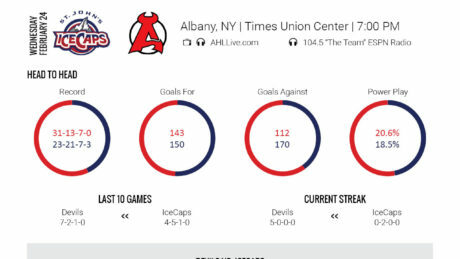 How do the Devils and Amerks match up heading into Saturday’s contest? 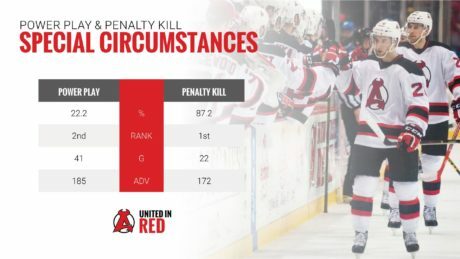 The Devils have the top-ranked penalty kill in the league and the second-best power play. 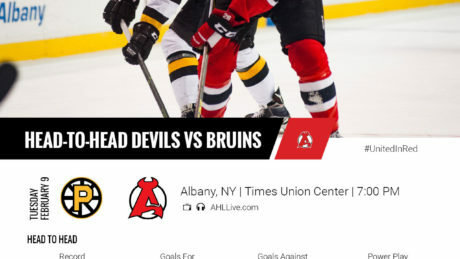 How do the Devils and Bruins match up? Here are the North Division standings as of Feb. 8, 2016. 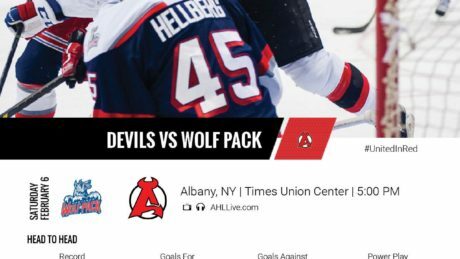 How do the Devils and Wolf Pack match up? 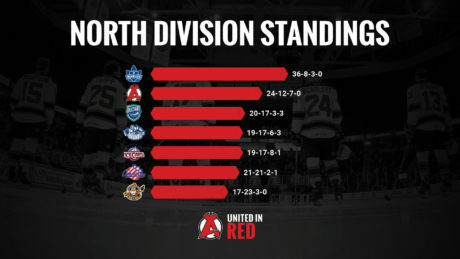 As the unofficial second-half of the season begins, the Devils remain in second place in the North Division. 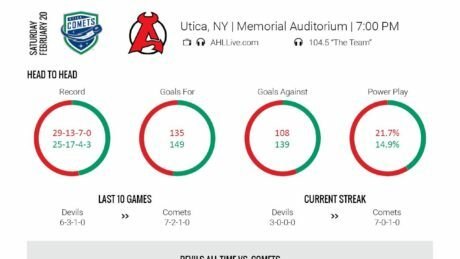 How do the Devils and Comets match up heading into Friday’s 7 pm puck drop.